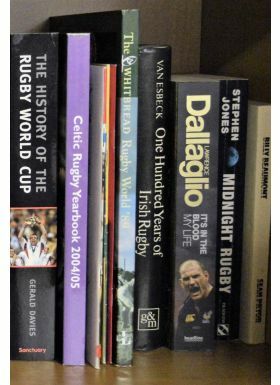 Rugby Book Selection C (13): Hardback: One Hundred Years of Irish Rugby - Edmund van Esbeck; Paperbacks: History of the Rugby World Cup - Gerald Davies; Celtic League Yearbook - 2004/2005; It's in the Blood - Lawrence Dallaglio; Midnight Rugby - Stephen Jones; Billy Beaumont - Sean Pryor; Whitbread World Rugby Annual 1989; Pamphlets: RFU Coaching Scheme 1981-82; A medical handbook for Rugby- Dr John Davies; Why the Whistle went - RFU (1958 Edition. 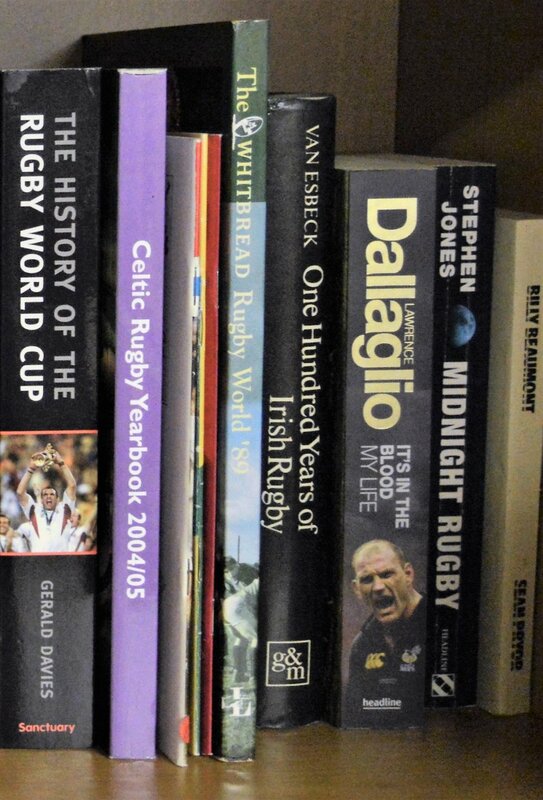 ); WRU Rugby Pathway 2008/2009 and 2010/2011. NB: Donated to be auctioned for the benefit of the WRU Charitable Trust.